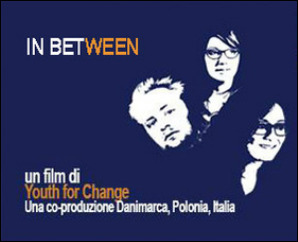 Transnational Youth Initiative (YiA) that has created the international documentary​ “In between”. Youth for Change is a documentary to give voice to young people in Denmark, Italy and Poland who are struggling between doing what they believe in and earn a living. Portraying the lives of three young activists in Copenhagen, Lecce and Krakow, the documentary aims to explore the dilemmas of young people who are socially or politically engaged and at the same time without work.